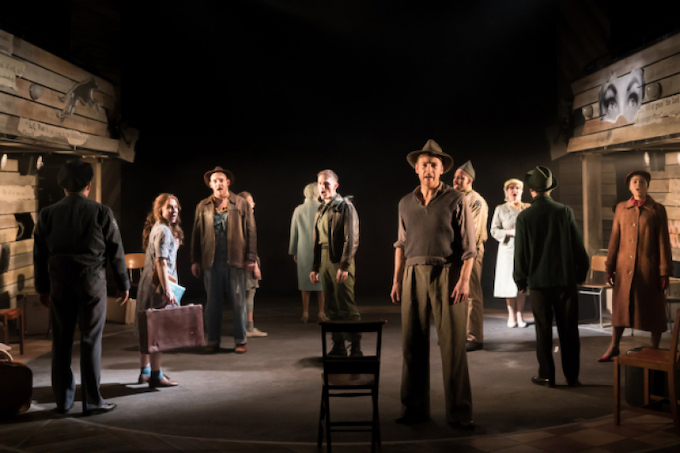 Very conveniently located, Charing Cross Theatre is one that musical theatre fans living in or visiting London should always check to see what new show is playing. In an interesting move, the auditorium has been reconfigured, moving from a traditional proscenium arch space to a central floor-level stage with a bank of audience seats facing each other on two sides. The floor of the stage is a revolve, making it easier for a director to include both sides of the audience even in relatively static scenes. Violet joins Caroline, or Change as the second Jeanine Tesori musical to be currently playing in London. 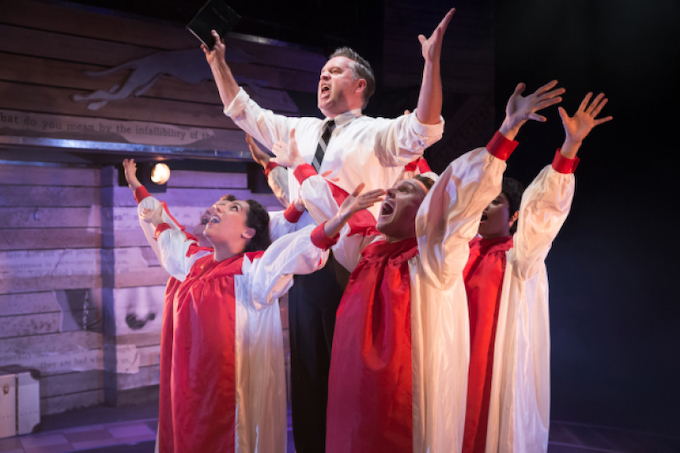 While the focus of Violet is not as squarely centred on civil rights as Caroline, or Change, its 1964 setting includes references to the slow end to segregation, and the two musicals make a complementary pair. Tesori is certainly showcased as a very fine composer in these works. Based on Doris Betts’ short story The Ugliest Pilgrim, Violet echoes The Wizard of Oz as Dorothy Violet sets off down the yellow brick road on a greyhound bus to see the wizard preacher. Violet’s new friends are soldiers Monty and Flick, both unfazed by her facial scar having seen worse at war. Making the equivalent realisation to Dorothy’s discovery that the wizard is just a simple man behind the curtain, Violet also learns that changes can only come from within. 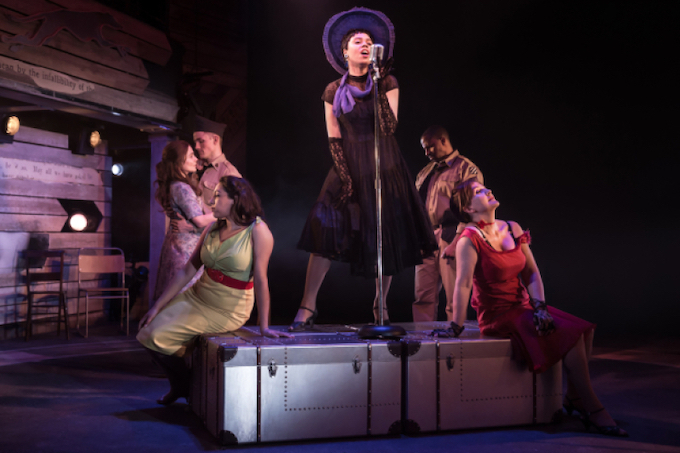 This production being the fourth time Man in Chair has reviewed Violet, the question arises as to how well a new audience would follow the story. The bus is again represented by chairs, but director Shuntaro Fujita spends such a tiny amount of time with the chairs in the bus formation that the ongoing travel / rest break scenes become blurred. Having the ensemble cast off stage during some bus scenes does not help. The fractured timeline, however, is clear, with the abstract interpolation of Violet’s reminiscences of life with her father being one of the strongest features of Brian Crawley’s book and lyrics. As is usually the case, Violet’s facial scar is not represented with make up; rather, it is conveyed by the deportment of the actress playing Violet and by the reactions of the other characters to seeing her face. Kaisa Hammarlund immerses herself completely in the role, deftly balancing the young woman’s low self esteem with her plucky determination. Hammarlund sings the large role with compelling vocal energy, all the while earning the audience’s affection. In a show where the leading lady’s performance is crucial, Hammarlund delivers the heart of Violet in abundance. 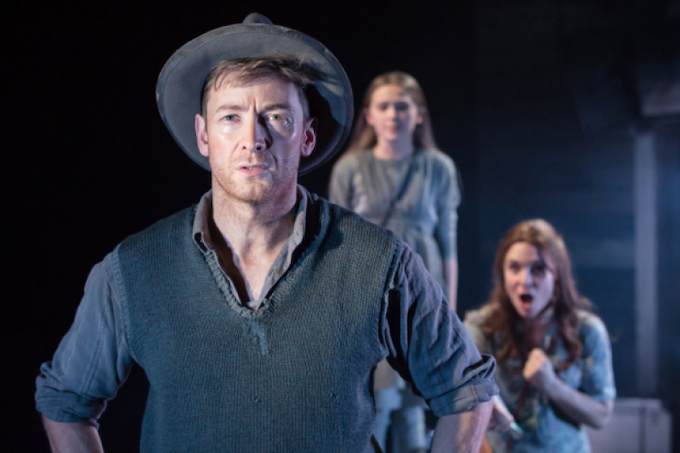 Music director Dan Jackson successfully creates the hillbilly twang of Tesori’s characterful score. Sound design places the band a little forward in the mix, but this may still be being adjusted. Set designer Morgan Large brings Violet’s prayer book to life with large clippings of bible verses and facial fragments of beautiful women pasted as a collage on the two sides of the stage. Jonathan Lipman’s costumes have the authentic patina of hardier times, with the soldiers’ off-duty uniforms looking suitably well maintained. The violet theme of Violet’s costume is cute but perhaps a little too obvious. Kieron Crook gives a neatly understated performance as Violet’s father, not allowing any sort of Southern caricature to colour the role. In an intelligently calibrated performance, Kenneth Avery-Clark gives the TV Evangelist the precise balance of hokey showmanship and authentic tenderness. With both actors so strong, Violet’s scene with the Preacher is the best I have seen it played. 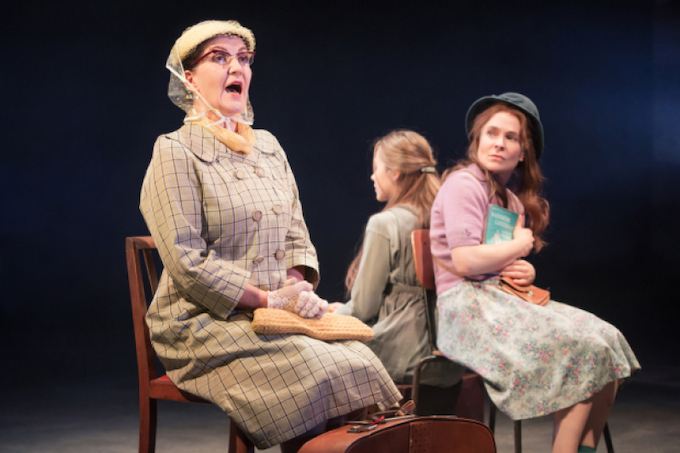 Great value compared to the ever escalating West End prices, Violet is a simple, heartwarming show that deserves to find an audience in London. 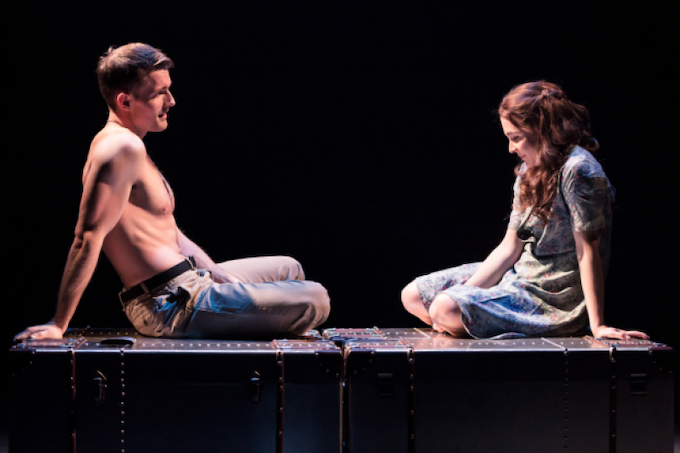 Violet was reviewed 7.30pm Tuesday 22 January 2019 at Charing Cross Theatre, London where it plays until 6 April 2019.